Another task I never thought I’d do – Trees & Flowers & Birds! Tracing letters from jerseys to match the size and font style onto white paper (easier to do the tracing), then cutting out the white version and tracing THAT onto a colored paper that was the *closest* I could find to the jersey letter color. 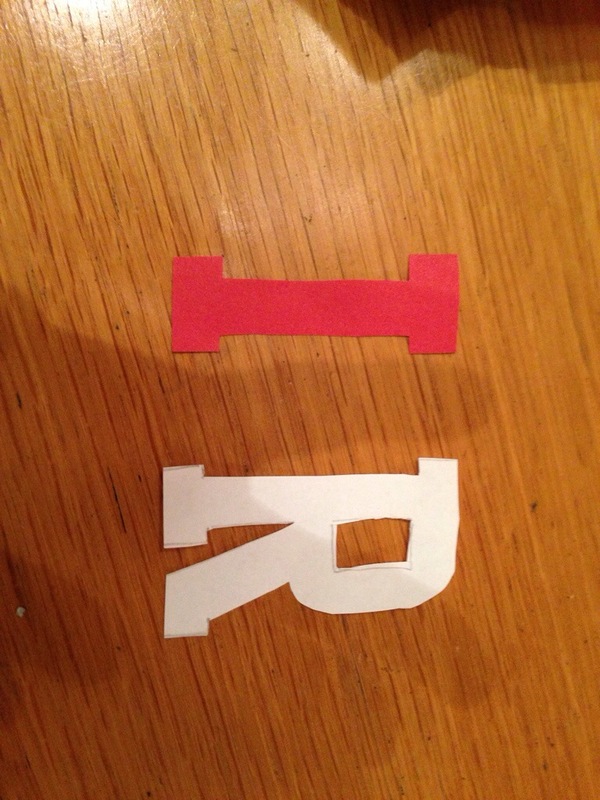 THEN taking the red letter cutout and gluing it onto the jersey to replace letters that fell off. 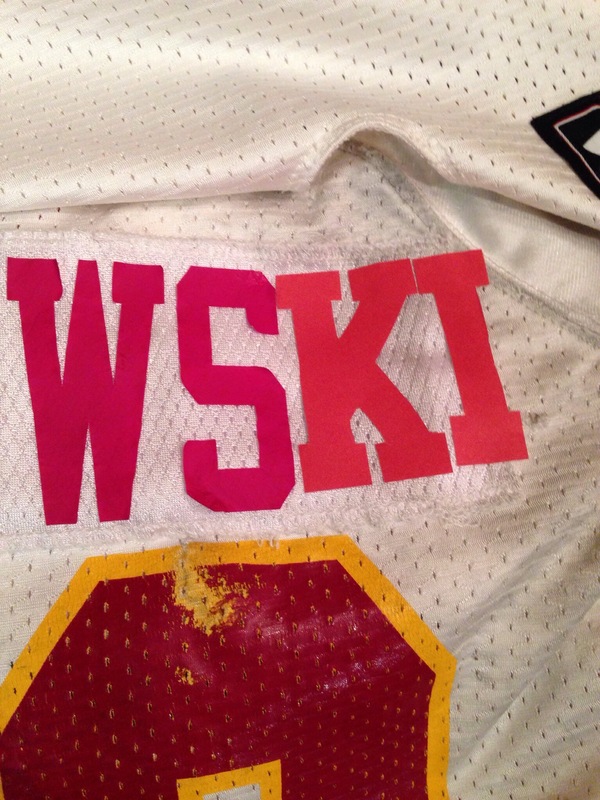 You see, this year’s version of our white jerseys had some LOW quality lettering put on it. Some are just flopping down and can be ironed back into place, but some are completely GONE. And, we need those white jerseys to be placed in front of the seat of each senior on the main dais tables during the dinner. In other words, this just needs to look decent for photographs for a couple of hours, because after that, the name plates will be ripped of these jerseys to recycle the numbers for next year’s crop of players. So, even though the color doesn’t match, it will do for what is needed. And the supplies were less than $5 so yeah, it’s going to HAVE to do! What have you done that you never thought you would?